Hey, what’s going on guys? 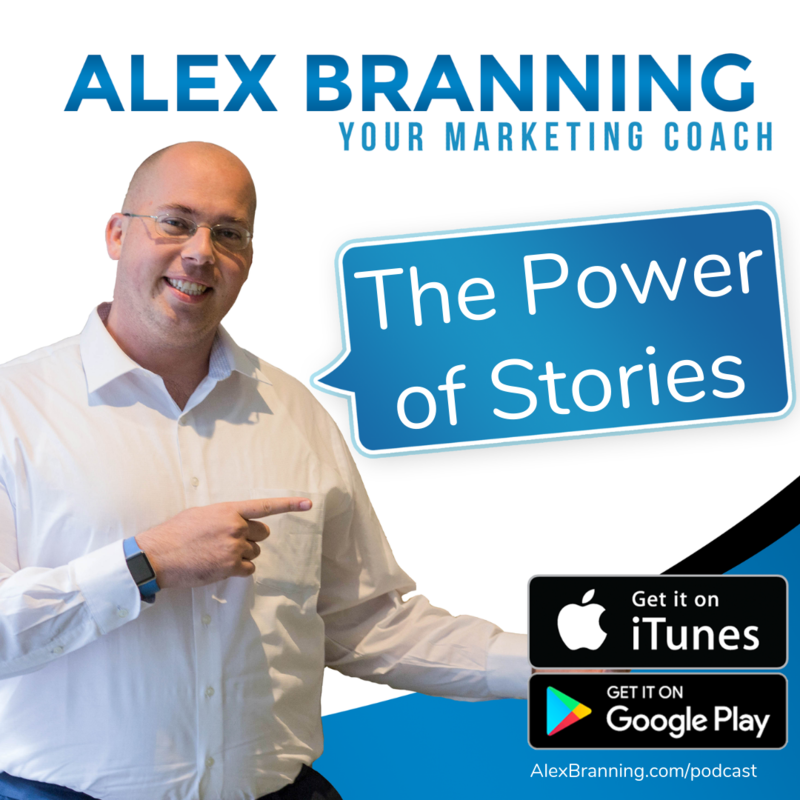 This is Alex Branning’s Podcast and today I want to talk to you about stories. We don’t talk a lot about copy, but I’ve really been focusing in on that myself and I want to talk to you today about how to use stories in your marketing, because when you do it correctly, it feels authentic, it really helps to sell what you’re doing and it gets the user to the next step. I’m going to call on a lot of my expert friends here today. We got Don Miller. We got Ray Edwards. We got Grant Cardone. We got a lot of guys here to help me deliver this message to you. I want to start off just by sharing with you how stories really came into my world and how I’m using them right now. I heard this cliché when I started marketing, that facts tell and stories sell, and I thought, “Okay. That’s cute. Whatever.” I honestly didn’t believe it. I just went about sharing when, because, at the time, I was just selling website design services, so I was sharing how quickly my team could get things done. I was talking about the speed of my server and all this stuff. I was using facts to try to sell what I was doing. That was my go-to because that’s what I trusted. I trusted data and numbers because I came from a programmer’s point of view. However, it wasn’t working very well, so I started working with a sales trainer because my business was floundering, and I needed help. Quick time out here. If your business is floundering and you need help, don’t try to fix it on your own because what you’ve done so far and what you’re doing and what you need to do to get out of your slump is not the same, and you probably don’t have all the tools and knowledge to get from the slump that you’re in now into where you need to go just because, if you had those tools, you would have already been doing it. 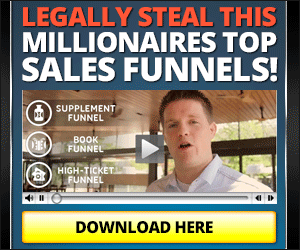 A hat tip to my sales trainer, Eric Lofholm there. In the story, I shared how my client had a really negative experience with their previous developer. Then they came over to the Branning Group, and we were able to not only get the project done on time, but we were also able to put in some more tracking so we could figure out what’s working, what’s not working with their marketing, and they were really able to relate with where my client was before they came to me. They’re like, “I’ve had that same kind of experience with developers. It has been just such a challenge for me to find someone that I can trust,” and so that was my first experience using stories that sell. Let’s call on some of my expert friends here. 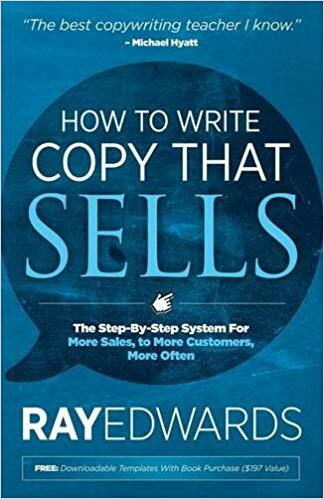 If you’re watching on IGTV or YouTube, you can actually see the book I’m talking about, How to Write Copy That Sells by Ray Edwards, and I highly recommend this book. I actually have it signed, which is pretty cool. Got to hang out with my man Ray Edwards in Spokane, Washington, which was an absolute blast. I want to call on another one of my expert friends here, Donald Miller. He talks about building a story brand. Guess what? In Building a Story Brand, he talks about stories. There’s a lot. What Don Miller does, this entire thing, the subtitle of his book is Use the Seven Elements of Great Storytelling to Grow Your Business, and what Don Miller does so beautifully in this book is really lays out the different elements of the story that are going to help your clients trust you, resonate with you, relate to you, learn to trust you, and then because you can’t really sell someone unless they trust you. We’ve heard that before. We know that to be true, but, yet, we don’t use trust-building elements in our sales presentation, in our marketing. We don’t do it because we’re lazy and it takes a lot of work. It’s easier to just copy and paste a sales presentation. It’s easier to use facts that we have than it is to write down all the elements of a story. That’s why we don’t incorporate it, and we lose because of it. 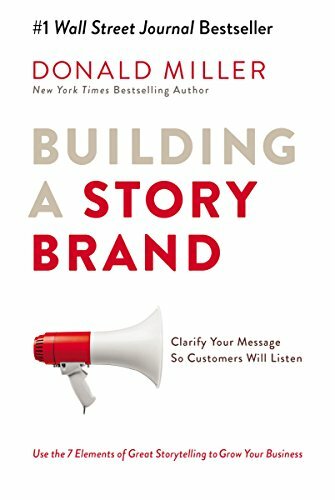 Donald Miller’s book, Building a Story Brand, does a phenomenal job of breaking down how to build a story, all of the different elements into it, and he makes it fun to do it, so grab the book, work on a story, use it in your sales presentation. If you listen carefully to some of the webinars that I’ve produced, you will notice that I use not only some of Ray’s stuff, but also Don Miller’s in my storytelling in the way that I build up what I’m trying to sell at the end. If you read the book, go back to some of my latest webinars that I’ve done and listen for some of the clues. 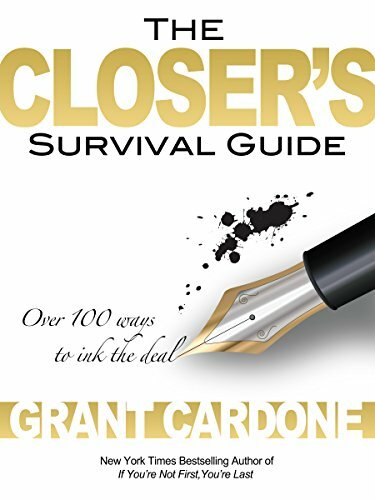 Last, but not least, my man, Grant Cardone, in the book, The Closer’s Survival Guide, which is one of my favorite books that he’s done because it’s just so dang applicable. A lot of these in here, he has over 100 ways to ink the deal. It’s a skimming kind of a book, but some of my favorite closes, they’re not necessarily stories from Grant, but he uses stories to capture the prospect’s imagination. He does a really good job of that, and Grant, in some of his later material, talks about how stories … He uses stories from stage. He uses stories when he’s talking and trying to close a deal. He’ll use stories, especially when it comes to his real estate stuff. He likes to use stories so that the person that he’s trying to get to sell to him, out of all the offers on the table. He tells stories letting them know the property’s going to be in good hands, and this is what I’m going to do. Stories are a key element. Where do we use stories? You’re like, “All right, Alex. I got it. We have stories. We want to use stories. Where do I actually use the stories in my marketing?” I want to give you a couple ideas. The first one is in your standard social media posts.Use stories in your social media posts so that the people in your audience connect with you, resonate with you, and start to understand you a little bit better. A good story can take you a long way, but you have to have a close. You have to have a call to action. Make sure that when you’re using your stories that you have a really strong call to action right at the very end.That way, your story doesn’t … It doesn’t just tickle their ears. It actually does something for you. An example of that would be, I tell this story a lot, about how in December of 2015, almost three years ago today, my wife and I were in a really bad pinch. My business wasn’t as strong back then, and we had a pretty $1,000 bill to fix some plumbing in our house, and it was just a major bummer, did not have $1,000 at the time. That was a crippling sum of money for me, especially right before the holidays because people were not starting website projects right around Christmas time. They were focused on their family. I tell the story, and I highlight different things, depending on my audience, but the bird’s-eye view of the story is that I sat down with my desk, I wrote an email to my list, which my email list at the time was only about 500 people, and I made them a low-ticket offer because I just needed something to hit. You know what I mean? It was a $50 offer. I ended up selling nine, so I got 450 bucks, but then one of the people that I sent the email to had a proposal for me sitting on his desk and decided to pull the trigger, and he said, “I really need to get this check to you before the end of the year because I want it to apply for next year’s taxes,” and that check, plus the nine sales that I made completely saved our Christmas. I tell that story a lot. 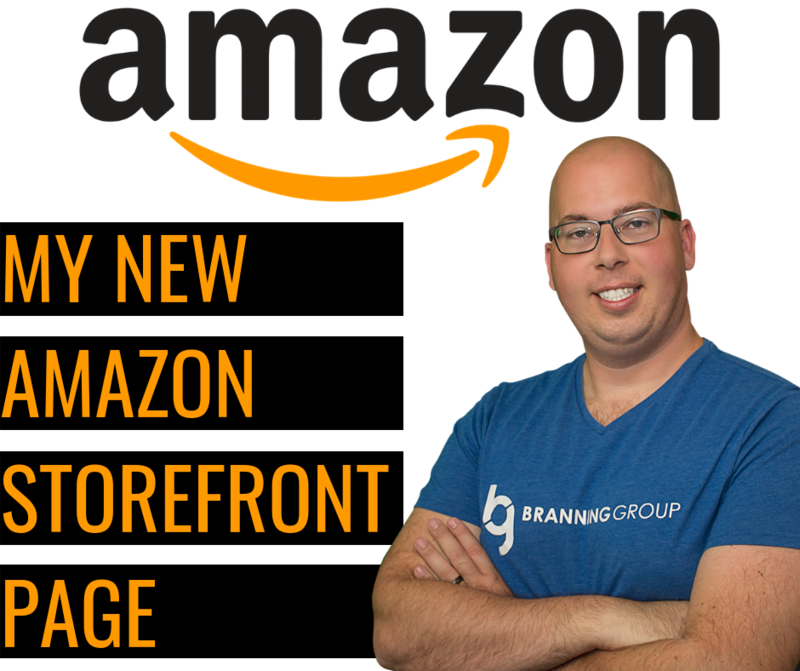 It’s really powerful, and it incorporates a lot of the things that I want to get across, like list building, creating an irresistible offer, mailing to your list. I use that story a lot, but I never use it and just leave it so that it’s this inspirational story. I always have a call to action, whether it’s listen to my webinar, buy the product, hire me for the service, etc. Facebook and social media posts, in general, are great. I use them a lot in my actual Instagram Stories, so goes kind of into my next point here. One of the most underused marketing vehicles right now is the Story, which is the Instagram Stories, Facebook Stories.When you open the Instagram app and the Facebook app, you’ll notice at the very top these little circles. If you follow me on Instagram, which I hope you do under Alex Branning, you’ll see that I’m getting better at using them, but in the Stories, you can have basically a slide. Each graphic is a quick slide, and so you have a really cool way to tell a short story, and then give the viewer a call to action at the end of that story. My December 2015 story is a little bit hard to tell over an Instagram Story slide deck because there’s a lot of elements to it, so I had to be creative and cut some stuff out. Again, if you follow my Story, you’ll see that the “stories” that I share in the Story feature on Instagram and Facebook are very short and I use quick examples. It’s really instead of a story that takes a few minutes to tell, you simply don’t have that many slides in an Instagram Story. I’ll get bored watching it, and so I have to tell it in basically 5-10 sentences, and so I have to get creative with my storytelling, but you can still incorporate the Don Miller storytelling stuff in there. You can use some of the stories that Grant Cardone uses. He likes to pull out famous stories and use it to prove a point. You’ll learn that by going through his Closes Survival Guide book. The third thing is really where stories come into play, and that is in webinars, webinars and sales presentations.I talk about sales presentations as webinars, but you can do it in face-to-face. It is just there is nothing like sitting down, telling a story because us, as humans, we love stories. Stories have been around since the creation of time, and we get captivated by stories. If you read the Bible, there’s a lot of stories in there. Why? Because we, as humans, love stories. When you start a story, the person that you’re talking to will want to finish the end of the story. They’ll want to see where it goes, and so you can’t be too long, but a story’s a great way to capture their attention, prove a point without having to sell, sell, sell. You’re telling a story. You’re sharing the journey for the hero of the story from start to finish, and then you can relay that to the prospect. I use these a lot in my webinars. Russell Brunson uses them a lot. I’m going to be using them even more becauseI’ve found that the more stories I have, the better that I’m able to get my points across, and which means that the more effective my webinars and presentations are. I want to close out with this, you guys. I have some really great resources at branningbundles.com. It’s a brand new thing that I just launched. I’ve put together a lot of my favorite resources into this Branning Bundles. You got a ton of free stuff in there. I got Facebook ads checklists. I got webinar helpers. I got an Instagram guide. There’s a lot of great stuff in there, and it’s all free. I’m also going to have links in the Branning Bundles to the resources that I have on this episode. You can also swipe up or click the link below to go to the episode page and grab the resources that I’m talking about specifically on this episode. I’ve got all the books in there. All you have to do is click it, grab it on Amazon, and then a really cool thing, Amazon actually invited me to become an influencer on their site, which is rad, so now I have my own storefront on Amazon, and I’ve created some lists in there of books that I like. I’ve got all the equipment that I have in my home office, and so you can see what I’m using, the lights, the microphone, etc. What else do I have in there? It’s books. It’s equipment. There’s another list in there, and I forget what it is now. Now that I’m on the call and recording it, I forget what my other lists are. I’ll link to that, as well, in the description, and if you go to alexbranning.com, you’ll see a link to my Amazon storefront. You guys are amazing. I want to hear your stories. Send me your stories. I am excited to hear you use them. I love all the positive feedback I’m getting from my podcast. You all rock. Have a great day.